In interviews with authors this month, I've been asking them to do a dystopian mash-up with their characters and other books (or other characters in their books). I extended the challenge to fellow bloggers as well, and Megan from Posey Sessions has the floor today! My favorite novel of all time is THE GREAT GATSBY and I have pondering the ways that Gatsby would fit into a dystopian society. He is already used to a rigid class structure, so functioning in many dystopias wouldn’t be that different from his current understanding. In many futuristic societies class is the new race. It is the way we can discuss race in a way that also suggests we have transcended the constraints of race. Sometimes I see Gatsby as more of the man behind the curtain type. I think he would be much happier in Oz than he ever was in West Egg. I see him pulling the levers and having joy in the controlling of everything. Gatsby doesn’t really want control though he is very controlling about his surroundings in West Egg, though in a jovial way. It is curious to ponder in which dystopian societies Gatsby would thrive and which he would fail. If Gatsby were in the world of DELIRIUM, he would definitely be diagnosed as being ill. But would be cured? How would his drive be able to manifest itself within his cured brain? I do not think he would fall to pieces and be incurable. I do not see him acting idiotic and throwing away his chances at life. There is something so calculated about his choices in THE GREAT GATSBY and how would that translate? I think that if Gatsby lived in the world of DELIRIUM, if he was a resident of Portland, Maine, he would conform, he would rise among the ranks. He would strive for power, seize power, and when he gained it he would only use it to match himself with the woman he loved, who he could never otherwise be with. Gatsby isn’t interested in the resistance or the freedom of the people. He is inherently selfish, and while he has the appearance of jovial conformity he motivations are rooted in his self. But I wonder, what would happen to Gatsby once he got what he wanted? If he were to have Daisy, what then? Wouldn’t then his life become pointless? But within the world of DELIRIUM attaining his love would be the ultimate achievement because he would always know he had the power over the system. Interesting thoughts Megan! What do you all think? Ooo...This is a great mash-up! Fantastic! 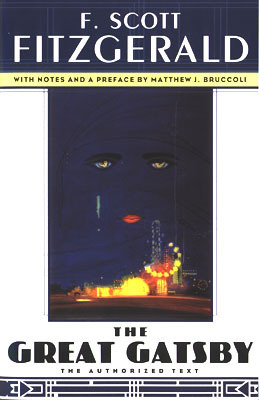 Thinking about Gatsby ins a dystopia is super interesting. Interesting mash-up - I haven't read The Great Gatsby, but it sounds rather interesting to have him basically manipulate the Delirium dystopia to fit his own means. I wonder if that might happen! 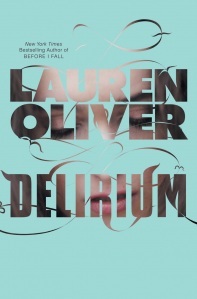 I love that she chose to mash The Great Gatsby with Delirium. The possibilities presented by this mash up are very intriguing! Great post! I've not read Delirium, but Gatsby is a favorite of mine.